The skull and mandible of a female Jane Doe was discovered in the town of Houlton Wisconsin, just off Anderson Scout Road, near Wisconsin Highway 35 / 64. This location is just east of the Minnesota boarder and a large system of highways, meaning the person responsible could’ve driven from almost anywhere. The human remains were discovered in a deep ravine. It was theorized the garbage bag had been thrown out the window of a passing motorist. The discovery occurred on October 19, 2002. At this time, Anderson Scout Road was a quiet, rarely traveled roadway. Since then, a major revamping of the highway has been completed adding additional lanes and new interchanges. A major search of the area was conducted on foot and with cadaver dogs. No additional remains have ever been recovered. The skull and mandible remain in the evidence room of the St. Croix County Sheriff’s office awaiting identification. Leslie Eisenberg, a forensic anthropologist, was requested to examine the skull by St. Croix county officials. At the time of discovery, the state of the remains were mostly skeletal but there was still some soft tissue remaining around the jaw. Eisenberg determined the women had been 35 – 60 years old and had been deceased at least a year prior to being discovered. This put the estimated time of death in late 2001- early 2002. Jane Doe was most likely Asian, however Native American, Hispanic, or a white admixture cannot be ruled out. Hair had been discovered in the garbage bag along with the remains. Jane Doe had short brown hair which was described as ‘mousy’ and was 3 inches in length. Her hair was slightly wavy. The victim’s eye color is unknown. Her height and weight cannot be estimated. The skull contained no teeth and no dentures were recovered. Eisenberg concluded her teeth had been missing for a time prior to her death which would have limited her diet significantly. Her jaw was also broken. This seemed to be the result of a new injury which most likely occurred around the time of her death. Eisenberg noted however, this would not have been a fatal blow. 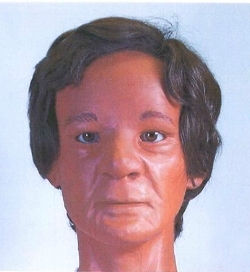 Jane Doe had some very unique and distinguishing features which would have been noticeable. She had a high forehead, a flat nose, and flat facial features. Her eyes were set further apart than normal and her lower jaw projected slightly. These features indicate Jane Doe was most likely mentally disabled. Upon the discovery of the skull, a local newspaper ran the story and a few leads turned up as a result. The St. Croix County Sheriff’s office was immediately contacted by 4 other law enforcement agencies who had human remains that were missing a skull. One possible match was thought to be Bobbie Dee Holder whose torso was discovered in Chippewa County in July of 2000. This was an especially hopeful lead as in trial, a witness testified that Holder’s teeth were pulled from her skull before being tossed into a wooded area. This witness also led police to the location where the head was supposedly disposed of but additional remains were never located. The DNA of the skull found in St. Croix County did not match Holder or any of the other partial remains. The skull of Jane Doe was sent to Kentucky a few years after the discovery in order for a facial reconstruction to be completed. Once the image had been released, the St. Croix County Sherriff’s office was contacted by The Doe Network who believed the reconstruction resembled a missing woman named Nori Jenkins. Jenkins who was originally from Japan, was found not guilty in 1964 by means of insanity for the murder of her two young children. She was incarcerated to a Mental Health Facility in Kansas where she escaped in 1986 at the age of 51. No one has seen or heard from her since. The St. Croix County Sheriff’s office worked with the FBI, Interpol, and Japanese authorities to eventually track down Nori Jenkins sister for a DNA comparison. The two women are not one in the same. This case has gotten surprisingly little to no media coverage. It is believed if this story could be broadcast to a larger audience, someone may be able to identify Jane Doe. Shortly after the discovery of a skull in the wooded area of St. Croix County Wisconsin, authorities believed Jane Doe could’ve been living in a group home or an institution upon her untimely death. It was theorized she was so mentally handicapped, she would’ve needed assistance living. Considering the higher end of Jane Doe’s estimated age, it was believed her parents had aged leaving them unable to care for their daughter or they had passed away themselves. This theory has yet to pan out as no institution ever filed a missing person’s report or claimed Jane Doe. 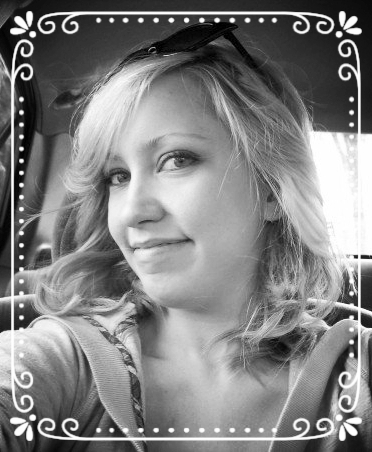 Another emerging theory links this homicide to two others in the area. One is that of the Racine County Wisconsin Jane Doe who was discovered on July 21, 1999. She was mentally disabled, missing teeth, and seemed to have been beaten and tortured prior to her death. The other is that of Mary Kate Sunderlin whose remains were discovered December 8th 1999 in Lake County Illinois merely 30 miles from where the Racine County Jane Doe was discovered. Mary Kate was also mentally disabled, missing teeth, and seemed to have also been beaten and tortured prior to her death. She was last seen alive September 4th 1999. The St Croix Jane Doe was discovered 327 miles away from the Racine County Jane Doe and 368 miles away from the location Mary Kate Sunderlin’s remains were discovered. The distance makes it difficult to see a connection but if these women met their end by the hands of the same person, they may have become more experienced when disposing of bodies. Also, all 3 locations are connected by I94 making travel lengthy but entirely possible. Untimely, this case remains unsolved and the St. Croix County Jane Doe remains unidentified.